This blog was written by Gemma Wilson-Clark, Team Leader and Senior Education Advisor at UNICEF All opinions expressed in this blog are her own and are not attributable to or endorsed by UNICEF. Last week, from 4 to 6 July 2018, I attended a roundtable at Wilton Park hosted by the UK Foreign and Commonwealth Office (FCO). The aim was to explore the role of diplomacy to mobilise support for girls’ education, bringing together over 30 advocates for girls’ education from across civil society, the UN and academia. 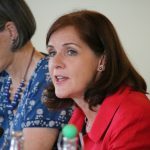 In her opening remarks, Joanna Roper, the FCO Special Envoy on Gender Equality, noted that international momentum for girls’ education is at an all-time high. In the UK, the Foreign Secretary has set girls’ education as a 2018 priority and DFID’s new Education Policy includes an explicit objective on highly marginalised girls. In April 2018, the Commonwealth Heads of Government Meeting pledged to promote gender equality and 12 years of quality education for all children. In June 2018, the G7 nations committed to increasing support for girls’ education in crisis and conflict. 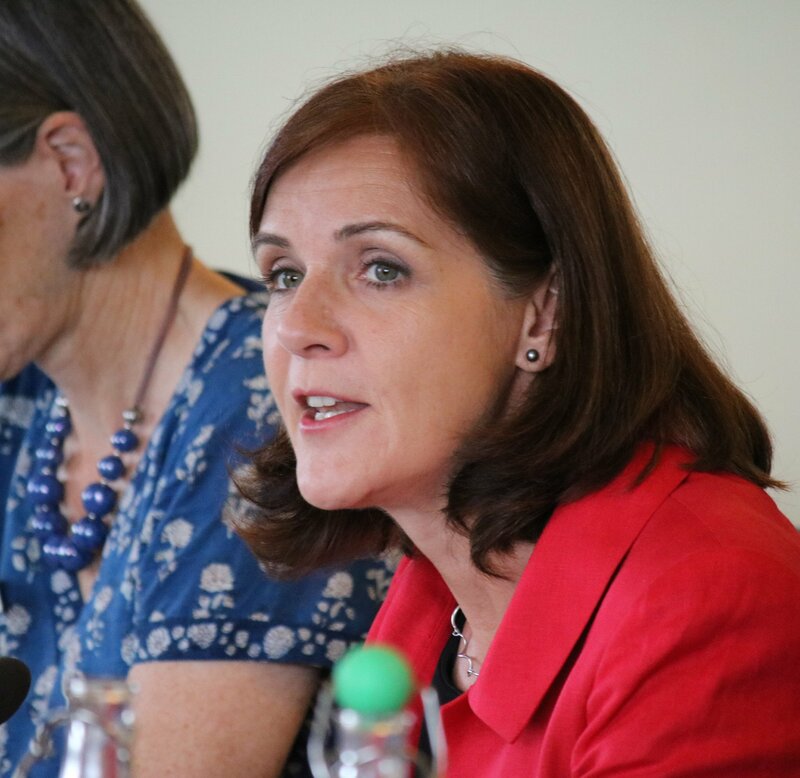 Building on these commitments, the Wilton Park meeting was intended to provide recommendations to develop a UK-led campaign to support 12 years of quality education for every girl. Despite dramatic improvements made in primary completion, with gender parity achieved at the global level, this is not the case in all countries, all levels of education or amongst the poorest and hardest to reach girls. Given the huge gap between the ambition of the Sustainable Development Goal 4, and the reality faced by many girls, what would success look like for a global campaign for 12 years of basic education? and financial commitments to also focus on the ‘how’. UNICEF estimates that on average, governments from low and middle-income countries spend four times more on children from the richest quintile than those from the poorest quintile – in some cases up to ten times more. This is because many of the poorest children have dropped out of education long before secondary school and so do not benefit from government expenditure at that level. Half of all children (800 million) will leave school without basic skills at the secondary level. If we are to ensure that every child learns, we need a plan to improve not just access – but learning outcomes for the poorest and hardest to reach girls. Many of the speakers noted that girls face barriers to learning within and beyond the classroom. Nimco Ali, co-founder of Daughters of Eve, highlighted the impact of Female Genital Mutilation in Somalia, and the importance of ensuring that girls’ education goes beyond the classroom to positively contribute to the empowerment of women and girls. Engaging with traditional leaders to support girls’ education was echoed by a number of organisations, including the Aga Khan Foundation. The ‘how’ requires grounding solutions in the reality of a girl’s life, with successful programmes making use of female role models, building social networks and providing targeted financial assistance as noted by organisations funded by the UK Girls’ Education Challenge. Any campaign for 12 years of education should advocate for the inclusion of girls who have been left farthest behind first and – at the secondary level – for public financing to be targeted at the most marginalised girls and boys. This would complement investments in strengthening education systems. Realising the promise of 12 years of education requires assessing the additional costs of doing so within sector plans and budgets. CAMFED, in partnership with the REAL Centre at Cambridge University, has made a significant contribution by evaluating the cost effectiveness of improving the learning outcomes of the poorest girls in Tanzania. The research found while it may be more costly for CAMFED to reach the most marginalised girls, it may still be cost effective due to the large gains in retention and learning. The impact was measured at equivalent to an extra 1.7 years of schooling per $100 spent. Next year’s World Development Report on the Future of Work, published by the World Bank, is looking at the impact of technology on the workplace and employment opportunities. It argues that, instead of the right to education, governments should be guaranteeing the right to life-long learning. This is because workers will need to continuously adapt to the rapid changes in the demand for skills brought about by the impact of technology on the workplace. This is why UNICEF is focusing over the next four years on enabling girls and boys to develop the skills needed for life, work and citizenship – and tackling gender biases that limit girls academic and career choices. Girls’ education is also key to achieving the SDGs, because education and training help develop professional capacity in every sector. Yet three out of every four young people who are not in education, training or employment are female. A campaign on girls’ education could contribute to achievement of the broader SDGs by tackling gender stereotypes across professions and – where needed – challenge the social norms that prevent women working outside the home. informed by the efforts, evidence and initiatives of partners. The Whistler Declaration, at the recent G7 meeting, set out an agenda for unlocking the power of adolescent girls for sustainable development. There have been pledges on gender equality in education at the Global Partnership for Education’s Replenishment conference in Dakar in February 2018. Similarly at the Nairobi Declaration and call for Action on Education 2018. The Global Partnership for Education and Education Cannot Wait have both recently developed Gender Equality in Education Strategies. We must capitalise on all of these commitments and partnerships to drive forward the momentum for girls’ education. A common vision and voice will be instrumental for financing and policy change. Two days after the Roundtable at Wilton Park, the UK Foreign and Commonwealth Minister, Boris Johnson, resigned. A change in leadership is in no way reflective of the UK’s determination to champion the issue of girls’ education. As first said by the UN Secretary General, and quoted once again at Wilton Park, girls’ education is ‘not only the right thing to do, but the smart thing to do’.